Join us this summer as our summer preaching series looks at the striking and beautiful stained glass windows of Faith. 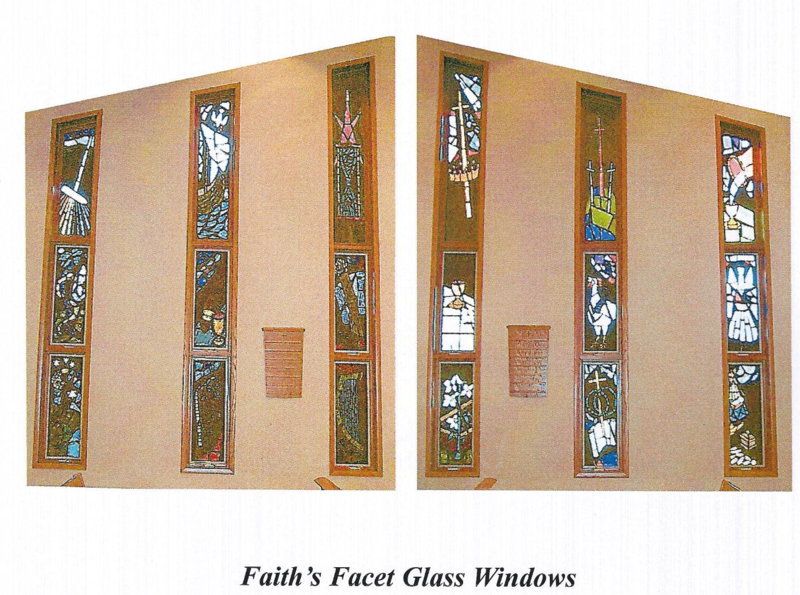 The most striking and beautiful part of Faith Lutheran Church’s building are the stained glass windows. They are a true treasure! They were designed by the architect for the building, Robert Torkelson, and Faith’s first pastor, Berton Hushagen. They were constructed by an artist from southern Wisconsin. Like stained glass windows in churches all over the world, they are mean to tell the stories of the Christian faith. They are sermons in light and color! As you sit in the pews at Faith, the windows to your left tell stories and ideas from the Old Testament. On the right the windows depict events from the life of Jesus. During the next year we are going to take another look together at those awesome windows. All summer long we will gather around our “campfire” and work our way through the Old Testament windows. They tell some of the most profound stories know to humankind. We will tell them in Faith’s own unique summer campfire style. In August we will be taking a look ahead at the upcoming 500th anniversary of the Protestant reformation. Join us around the campfire at Faith this summer!